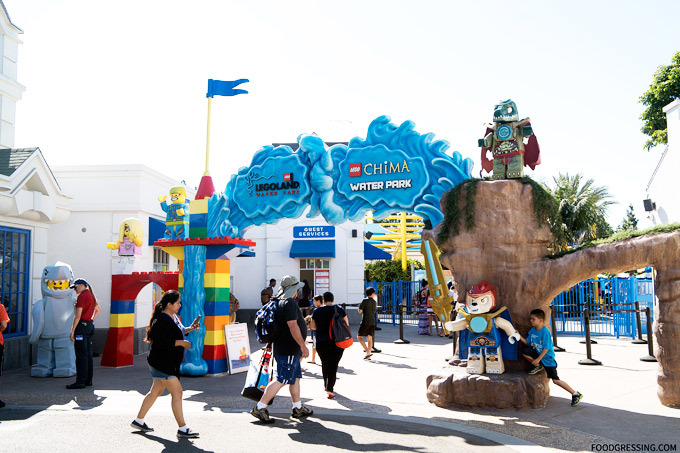 If you’re planning to visit Legoland California, there is a way to save money by buying discount tickets. I recently discovered Undercovertourist.com, an authorized online seller of discount Disney tickets, Disney hotels, Universal Orlando, SeaWorld, ski vacations and more. 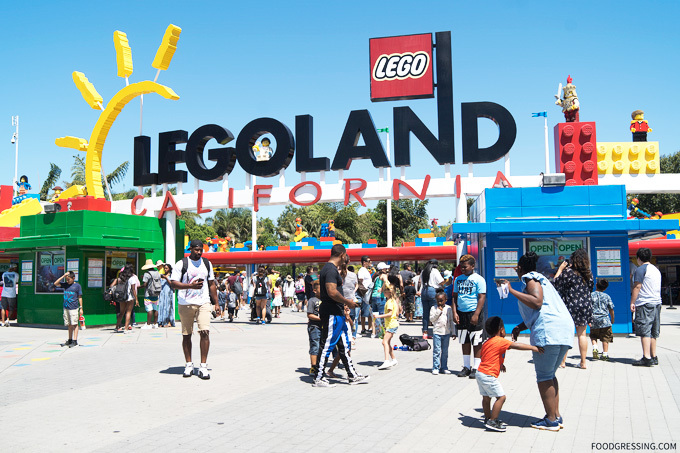 Here’s how you can buy Legoland California discount tickets using Undercover Tourist. 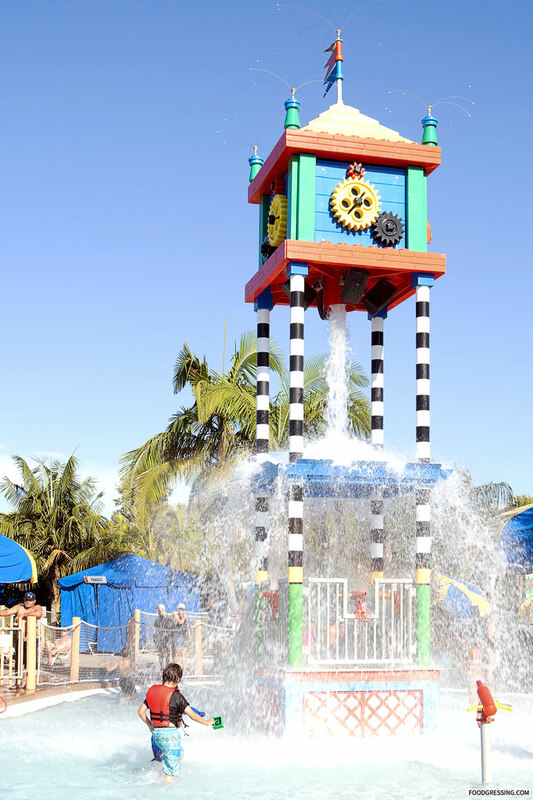 If you don’t know already, LEGOLAND California consists of three ticketed portions: the regular LEGOLAND part, SEA LIFE Aquarium, and the Water Park. 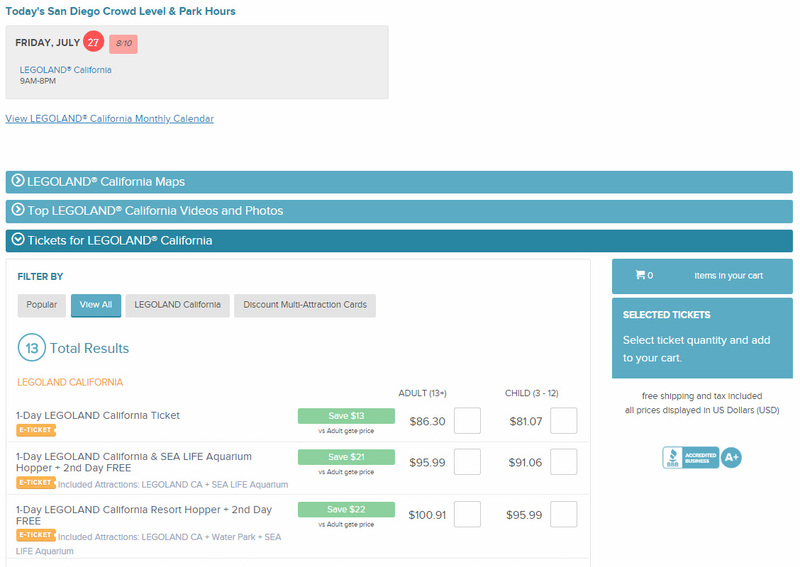 There are three ticket types that I am going to be comparing: 1-Day LEGOLAND California Ticket; 1-Day LEGOLAND California & SEA LIFE Aquarium + 2nd Day Free; and 1-Day LEGOLAND California Resort Hopper + 2nd Day Free. As a point of reference, I’m going to use today’s date (July 27, 2018) to showcase the price comparisons between Undercover Tourist and the official Legoland website. Below are screenshots of the ticket prices. Scroll below for an analysis of the savings. Using Undercover Tourist, you can save between 21 % – 23% depending on the ticket type. 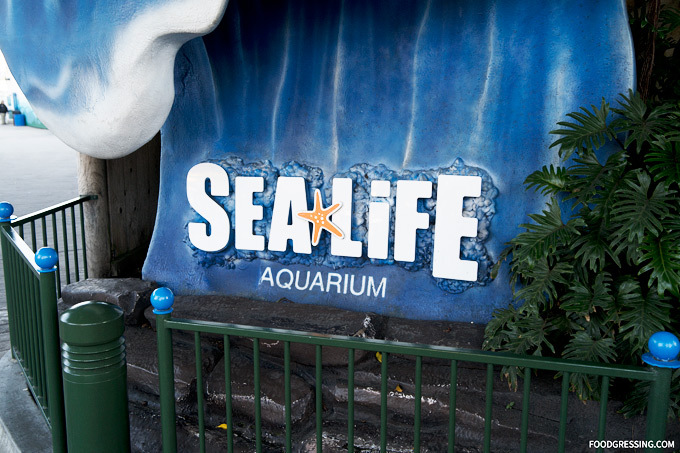 As a note, you can upgrade any ticket for the SEA LIFE Aquarium and/or the Water Park. The upgrades happen at the LEGOLAND door. For SEA Life, the upgrade at is $22 each. For the Water Park, the upgrade is $30. However, you save more if you don’t upgrade at the door and buy the appropriate ticket ahead of time. 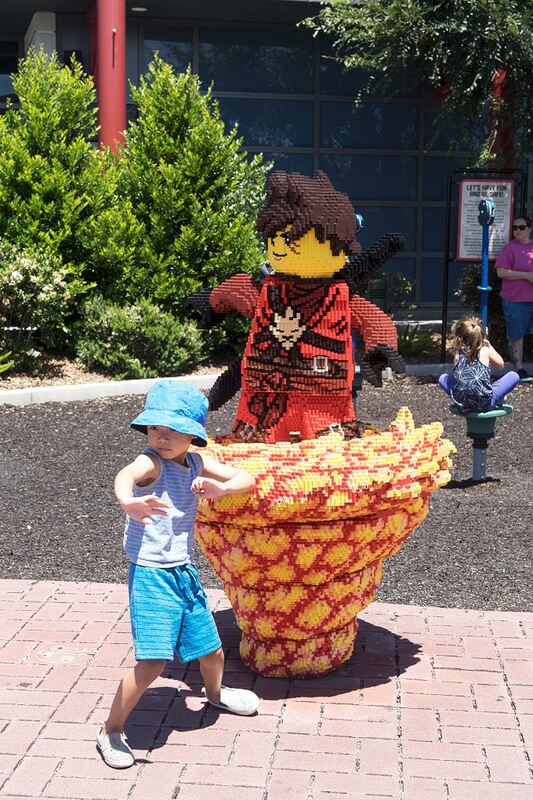 Using Undercover Tourist will help you save around 22% for your ticket to LEGOLAND California. Hopefully, this article has helped you in saving on your next trip!